1.Cabbage and carrots must be finely diced. 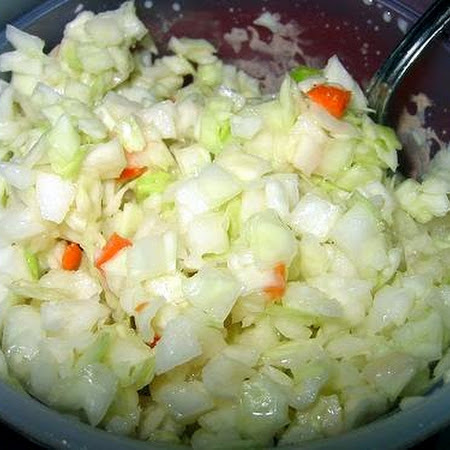 2.Pour cabbage and carrot mixture into large bowl and stir in minced onions. 3.Prepare the dressing, mix until smooth and creamy. 4.Pour over Slaw and mix thoroughly.